Taunting the Red Devils and the Sky Blues, Antonio Conte says that some people should understand that they can’t get themselves to the top positions in the Premiership just by the power of money. Interestingly in the past, it’s Chelsea itself which has been seen as a team pretty keen to splash cash to acquire the biggest names in the world game, but, the previous summer, two of their Manchester rivals spent much larger amounts than them on the playing resources. Despite that, both of them are nowhere near Chelsea in the premiership standings at the moment. They are actually so far behind that one can’t imagine them taking over the Blues at any point of time in the remaining part of the season. As per Conte, before buying any player, a coach must take into consideration if the player has the appropriate features in his game to play the brand of Football he encourages because only then the player can be useful to him. Also a coach has to see what he has got at his disposal already and what he needs the most for the proper balance of his squad. Of course, if there is a player with a lot of spark and X-factor, he will make everyone take notice, but, if a holding striker gives the coach the balance rather than a flamboyant striker, then he should go for that type of a player. It’s all about how he can balance his squad. 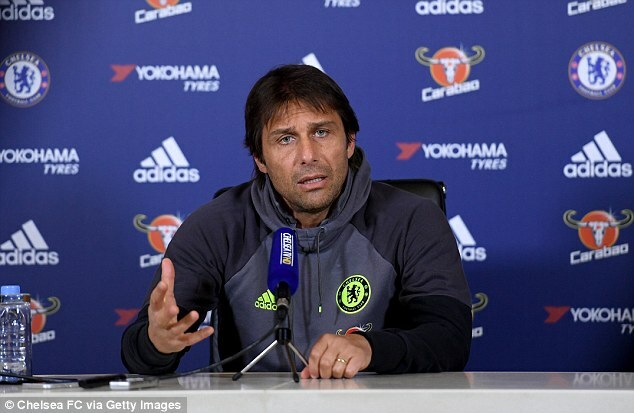 Conte is pretty stoked by the possibility of adding another feather to his cap as a coach and that is the Premier League title which he thinks is one of the hardest titles to clinch in modern day Football Northern Touch Soccer due to the unrelenting nature of the tournament,.